The three months from New Year have seen the Scouts learning and refreshing map skills. We have concentrated on compass bearings and both 4 and 6 figure grid references. The Scouts have also been completing the requirements necessary to gain their Emergency aid Level 1and Level 2 badges. Dry evenings have allowed for two troop nights to be spent at Sharlston Dam playing Wide Games. The Scouts have also been able to enjoy a games evening.and a thought provoking finish to the Global Challenge badge work, in which they had to consider to whom they would give a last remaining Shelterbox. We have camped on three occasions in the last two months. The February chill did not put off a number of scouts from attending the Winter Camp at Bradley Wood.  The Wakefield District Night Hike took place a week later. In March ten Scouts spent a weekend on the narrow boat The Jubilee Venture. A good time was had by all despite the water level on River Calder being too high to navigate at times. Some time was spent at the Hepworth Gallery in Wakefield.